Habitech offers complete design and building management services to deliver our clients fully finished, high-performance houses. Our flexible service structure allows us to provide our clients with tailored solutions, from full architectural design services, to specific design and documentation packages for builders and developers. 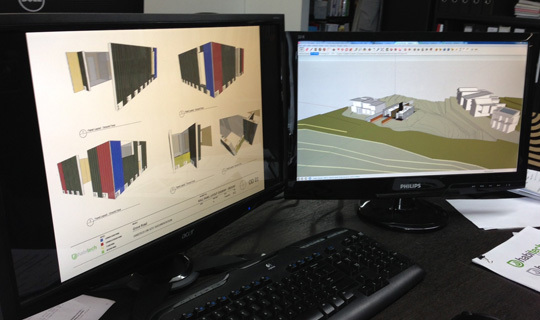 We guide you through the complete design and building process, from brief to completion. Habitech offers complete design and building management services to deliver our clients fully finished, high-performance houses. Our flexible service structure allows us to provide our clients with tailored solutions, from full architectural design services, to specific design and documentation packages for builders and developers. We guide you through the complete design and building process, from brief to completion. Brief - helping you define your brief, area requirements and fit-out quality. Construction budget - establish the cost to build the areas and quality you desire. Design process - tailor a design process to suit your needs. Scope of services - a detailed list of the design services and outputs we will provide. Sub-consultant costs - estimate the cost of sub-consultants required for construction (structural engineer, building surveyor, etc). Total project budget - establish all the design, construction and any other costs required to make your vision a reality. Project program - provide a monthly timeline showing how long the design and construction process is likely to take, and the timing of invoices you would receive. Planning provisions that may apply to your site. If a Town Planning permit is required we remain beholden to Council processing times but advise allowing at least three months. 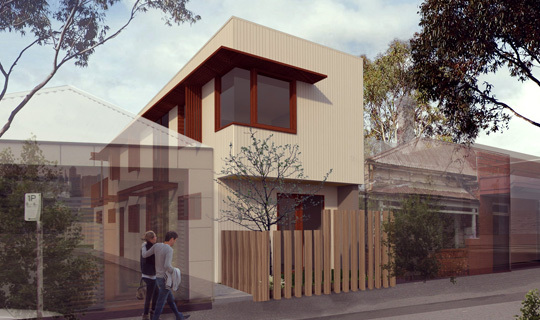 In Melbourne, if your lot size is greater than 500m2 you will often not require planning approval from Council. As a general rule however, Habitech's modular delivery shortens build time by 2-3 months, compared to traditional building approaches.